Made of stone cast concrete, each garden stone has the look, feel and weight of true stone. 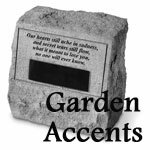 Weatherproof and durable, our garden stones offers a permanent and touching way to honor a loved one. The stone can be personalized with names, dates or sentiments (3 line maximum with 18 character limit per line). You do not need to use every line. Text will be centered. 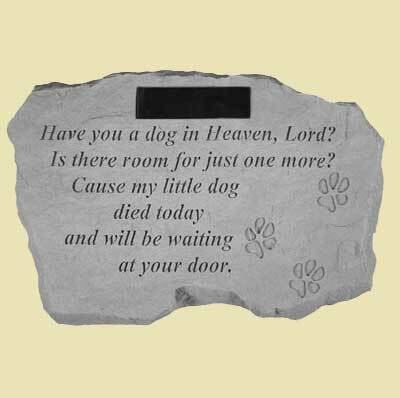 "Have you a dog a dog in Heaven, Lord? Dimensions: 16" x 10 1/2".